Northfield bed and breakfast travel guide for romantic, historic and adventure b&b's. 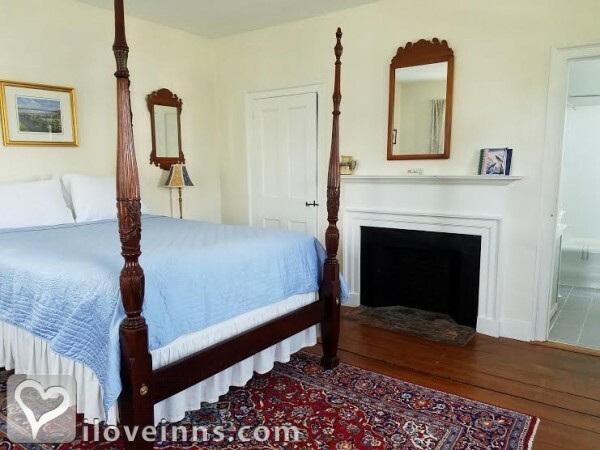 Browse through the iLoveInns.com database of Northfield, Massachusetts bed and breakfasts and country inns to find detailed listings that include room rates, special deals and area activities. You can click on the 'check rates and availability' button to contact the innkeeper. Plan a visit to a Northfield, Massachusetts bed and breakfast, and explore this quaint city, established by settlers in 1673. Stroll along it's historic Main Street, and shop at the Northfield General Store, established in 1884. Or, stop by the Northfield Historical Society Museum, with it's popular exhibit on the role of women during WWII. Northfield also offers easy access to Pioneer Valley, Massachusetts, and it's attractions, including the Northfield Mountain Recreation and Environmental Center, perfect for nature lovers, with it's miles of trails for hiking, mountain climbing, and cross-country skiing. Excellent golf and narrated cruises of the Connecticut River round out the nearby attractions as well. By Centennial House . The classic village of Northfield, Massachusetts is located along the Connecticut River where Massachusetts, New Hampshire, and Vermont meet, making it the perfect location for exploring three states during your journey through New England. The wide Main Street features some of the finest examples of Federal and neo-classical architecture found anywhere. The town's location close to ten nationally-ranked schools and colleges provides access to high-quality music, theater, and the visual arts year round. The hills around Northfield offer excellent hiking, mountain biking, and cross-country skiing in season, and one of the top 100 small golf courses offers great facilities and special programs all season. In summer a narrated boat cruise on the Connecticut River leaves from a riverfront picnic park. Northfield boasts a popular winery, a drive-in movie theater, a Yankee Magazine award-winning ice cream stand and a museum of New England art. Fine dining and unique shops are available within a short drive and farm stands and antique shops dot the landscape. By Centennial House . Plan a visit to Northfield, Massachusetts and explore this classic New England village colonized by settlers in 1673. Stroll along it's historic Main Street, and visit a winery, a top-rated ice cream stand or tasty deli. Northfield also offers easy access to Amherst and Northampton, Mass., Brattleboro VT and Keene, NH. Area attractions include the Northfield Mountain Recreation and Environmental Center, offering miles of trails for hiking, mountain climbing, and cross-country skiin in season and a narrated boat cruise in summer. Excellent golf awaits at the beautifully updated Crumpin Fox Club or 9 hole historic Northfield Golf Course. By Centennial House .Near fine dining at Kringle Candle and the Gill Tavern and a selection of area restaurants. Near schools and colleges, live music, theater, Historic Deerfield and Magic Wings Butterfly Conservatory. You'll wish you stayed longer at Centennial House. By Centennial House . An historic New England village along the Connecticut River founded in the 1600's. Great hiking and outdoor recreation, farm-to-table cuisine, and area attractions. Proximity to a dozen schools and colleges gives the area a reputation for theater, music and the arts. By Centennial House .